Our Father in heaven Hallowed be Your Name NAHAL KOL EMET Guide into all Truth John 16:13 Thy Kingdom come. Thy will be done. On earth as it is in Heaven. 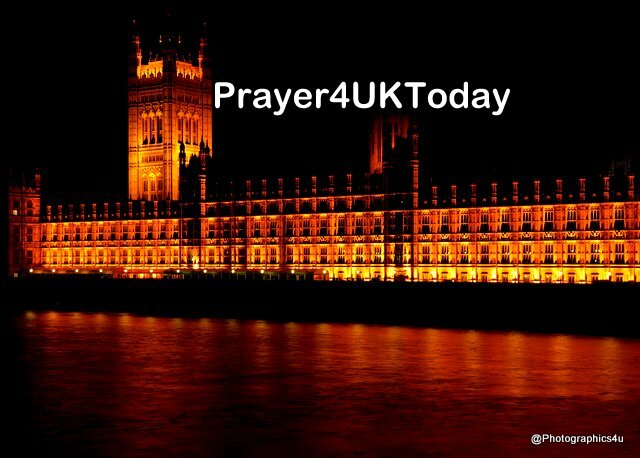 We pray Your protection for Britain and the Conservative Party Conference starting today. We ask that You will keep us under the shadow of Almighty God hidden in the strength of God Most High. You are the hope that holds us, and the Stronghold to shelter us, the only God for us, and our great Confidence. He will rescue us from every hidden trap of the enemy, and He will protect us from false accusation and any deadly curse. His massive arms are wrapped around us, protecting us. We can run under His covering of His majesty and hide. His arms of faithfulness are a shield keeping us from all harm. We will never worry about an attack of demonic forces at night nor have to fear a spirit of darkness coming against us. We don’t have to fear a thing! Whether by night or by day, demonic danger will not trouble us, nor will the powers of evil launched against us. For God will keep us safe and secure; they won’t lay a hand on us! Even in a time of disaster with thousands and thousands being killed, We will remain unscathed and unharmed! We will be a spectator as the wicked perish in judgment, for they will be paid back for what they have done! When we live our lives within the shadow of the God Most High, our secret Hiding Place, we will always be shielded from harm! How then could evil prevail against us, or disease infect us? God sends angels with special orders to protect us wherever we go, defending us from all harm. If we walk into a trap, they’ll be there for us to keep us from stumbling! We will even walk unharmed among the fiercest powers of darkness, trampling every one of them beneath our feet! For here is what the Lord has spoken to us: “Because you have delighted in Me as My great lover, I will greatly protect you. I will set you in a high place, safe and secure before My face. I will answer your cry for help every time you pray, and you will find and feel My presence even in your time of pressure and trouble. I will be your glorious Hero and give you a feast! You will be satisfied with a full life and with all that I do for you. For you will enjoy the fullness of My salvation!” (Ps. 91 Passion) Thank You Father for Your hand of protection over the UK. (Ps. 1:!) doing what is right in your sight. ( 2Chr 20:32). That You who began a good work in them will perfect it.